In Chapter 9 we will show you which trading strategies you can combine to get the best results (two is usually better than one). 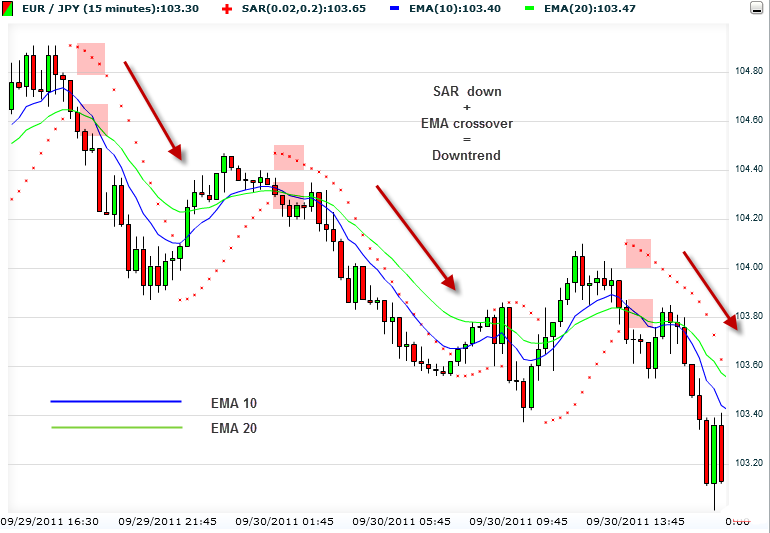 In the previous lesson, we introduced the important technical indicators. We also encouraged the use of two to three indicators simultaneously before deciding on a trend and what action to take, but not more. 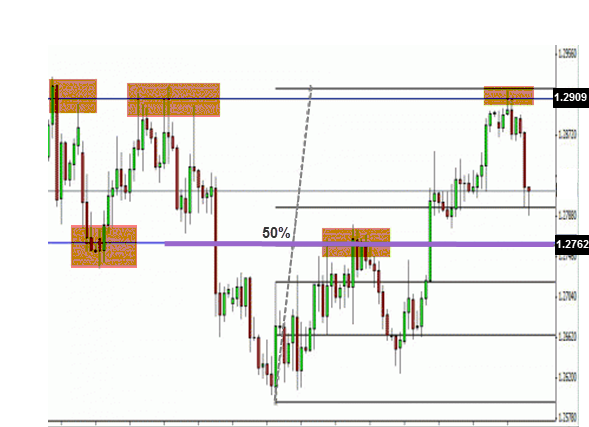 You learned about the technical indicators and saw examples of how they work individually. But, as we mentioned in the previous lessons in this course, the best way to build a forex strategy is to combine indicators. This is one of our favorite and most popular trading strategy for short-term trading, and often for long-term signals as well. 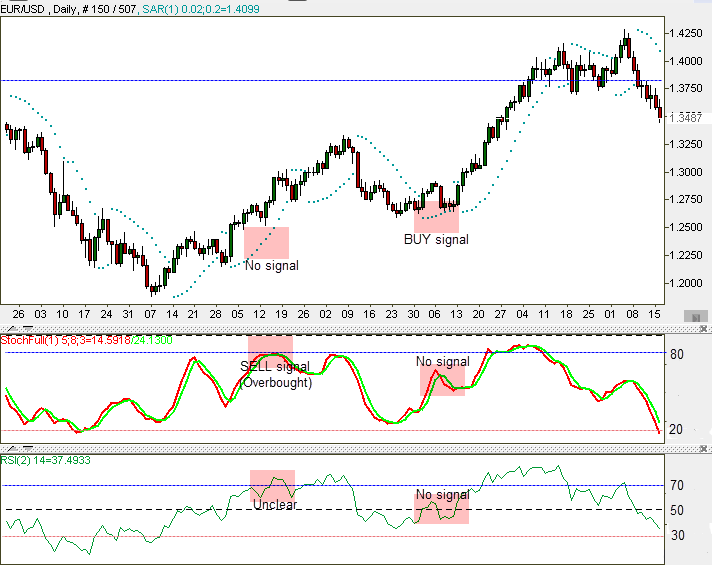 As you can see, the stochastic is overbought and the price is right below the 100 moving average before it turns south. 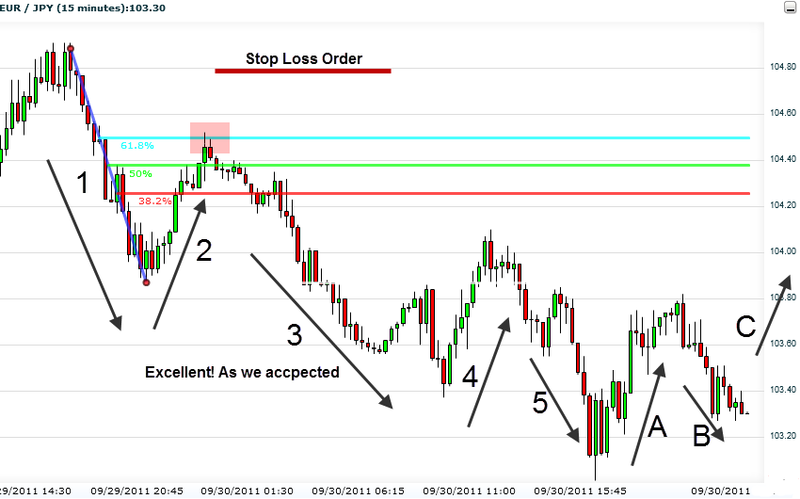 This is a very effective forex strategy, especially if you there are the candlestick formations. It is a primary trading strategy in the indices and commodity markets as well. We showed you some examples to demonstrate how using technical tools helps us determine trends, future directions, entries and exits and other necessary market data. Is everything that easy? Are we living in a perfect world? Of course not! The first problem is that alerts coming from the market are sometimes wrong. Imagine you’re an NBA player. Your team plays against Kobe Bryant and the L.A. Lakers. Your coaches are not suckers, they will prepare a game plan, and analyze your rivals by watching tapes and statistics. Assume that analysis shows that during the last five games Kobe took an average of 7 three throws, and also scored 90% from the line. They also know that he likes to go to the basket from the right side, with his left hand. Coaches will prepare you to try and compete with these facts, due to the high probability that these numbers and data will be similar during the game tomorrow night. Do you have guarantees that it will work? Are you fully confident that Kobe will follow these numbers? Of course not! Regardless, it is advised to prepare yourself. The same goes with trading. Indicators are very efficient, but they might be mistaken and mislead you. You can see from the chart that the signals were wrong! On the left marked spot on the chart, MACD (Buy) gets it wrong- you can notice the price decline right after the BUY signal. On the right marked spot EMA gets it wrong- it doesn’t provide any signal at all for a coming uptrend, while MACD does provide the correct BUY signal. Another problem is that there are times when different indicators provide different signals. Onward, let’s check the indicators and follow the alerts. Here, on the other hand, the case is different. The Parabolic SAR + Stochastic + RSI show that indicators often do not correlate with each other which can cause confusion among traders. In case each indicator gives you different alerts, it is better not to make any move at all! Wait for other opportunities. If you want to open a position anyway – go with the majority. One of the key fundamentals of technical analysis is named after Ralph Nelson Elliott, an economist. 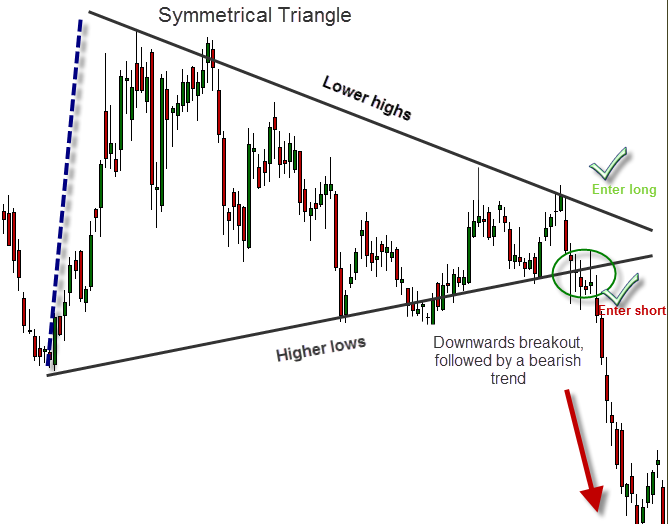 This is an identification technique for trade patterns. It serves as a good tool for predicting trends’ directions. The Elliott Wave Theory works on the waves motion principle – traders fluctuate in natural, continuing, repeated motions, like a sequence of waves crashing onto the beach. We refer to the waves as stages. Each stage of the eight stages, build a single motion that can last different periods of time (you are going to get it in 3 minutes, don’t worry). Psychologically, traders usually react similarly to each wave. These reactions create a pattern whose continuation can be foreseen. 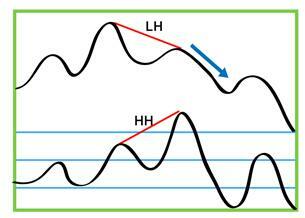 Elliot discovered a relatively harmonic, distinct motion that kept repeating itself. 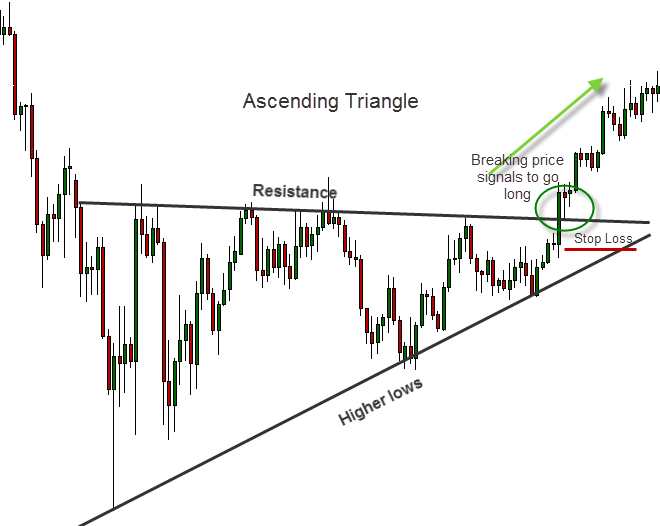 Problem – Many traders tend to rely on this pattern too much, and it is wrong to put all your eggs in one basket! 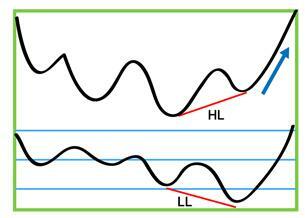 In addition, in many cases, Elliott waves are hard to identify. Traders make recognition mistakes and wrong interpretations of the charts. 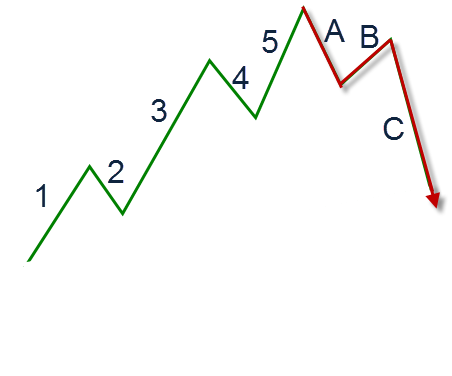 You can see that the pattern is assembled at the first major trend (in this case- uptrend), built of 5 stages (Waves 1 to 5), and a smaller secondary trend (in our case a downtrend), built of 3 stages (Waves A to C). Will the pattern repeat itself again? Bingo! 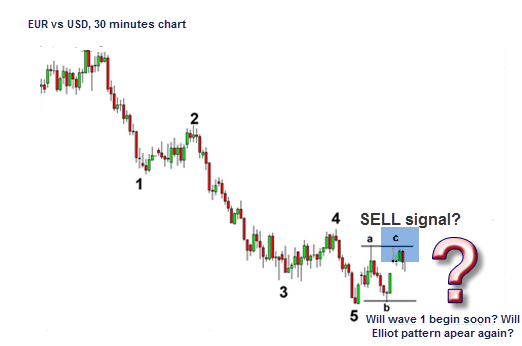 Identifying an Elliot Wave in time can produce great profits! In most cases, the wave’s height is approximately the same as the three main Fibonacci ratios (.50, .382, and .618). Wouldn’t it be great if you could predict future events? Say, the winning numbers in the next lottery? Let’s not get carried away… We can’t admit that we know how to do it (we are obviously not Harry Potter), but Divergence Trading Strategies helps us predict further price movements. Divergence happens when the directions on the price chart and on the indicating graph split. When divergence occurs, it helps us determine whether we are witnessing a good exit/entry point. Divergence trading allows us to wait with our executions until right near the ultimate point on the trend, and by doing so, enlarge profits and reduce risks at the same time! How can you do this in practice? Simply, compare price movement on the chart to what the indicator shows. Regular Divergence – Informs us that the pair is weakening and that the trend is about to end. A good indication for change in the trend’s direction. Remember: An indicator that is acting contrary to the price is alerting us to price weakening and a possible change in momentum! 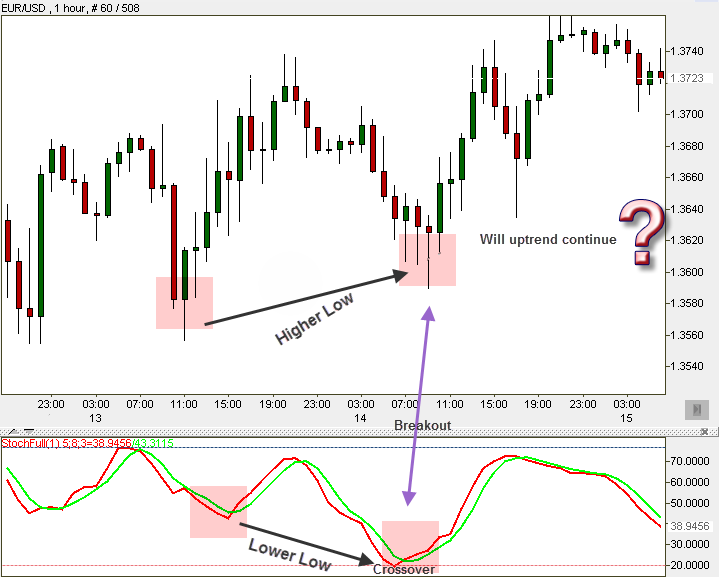 Example: Let’s see how Regular Divergence looks on a real chart, using Stochastic. 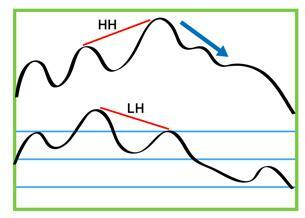 You will notice the perfect “HH/LH Regular Divergence”. This type of divergence signals a coming reversal to the downtrend. Is that what is going to happen here? Pay attention to the price, which moves from a low to a higher low, and to the indicator which moves from a low to a lower low. In this case, the graph signals a continuing uptrend. 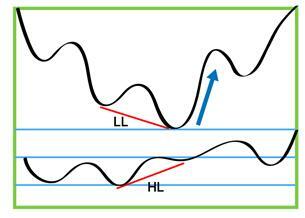 You can notice the perfect “HL/LL Hidden Divergence”. 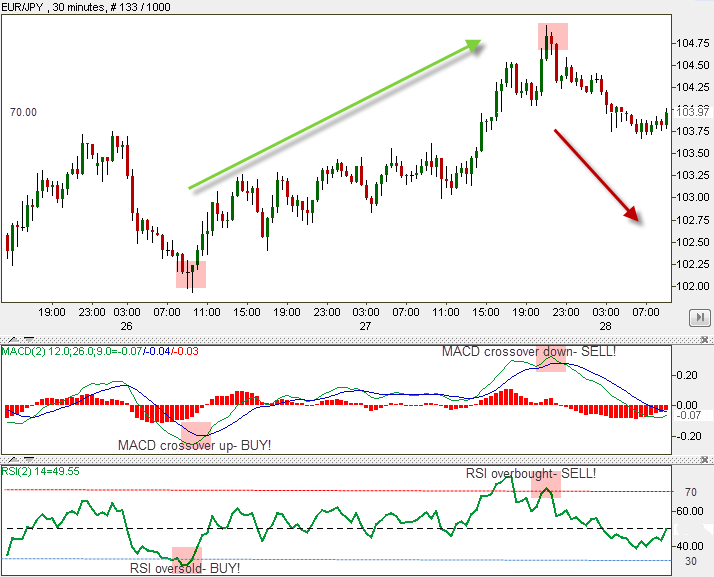 This type of divergence signal is a continuation of the uptrend. Is that what is going to happen here? Tip: Divergence is much more effective for long-term trades. 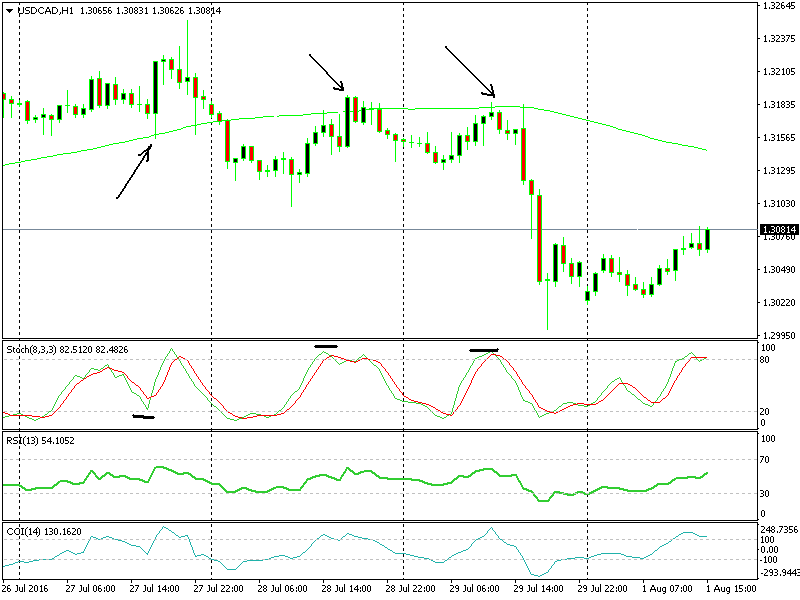 Remember: Recommended indicators for using the Divergence method are mainly MACD, RSI and Stochastic. 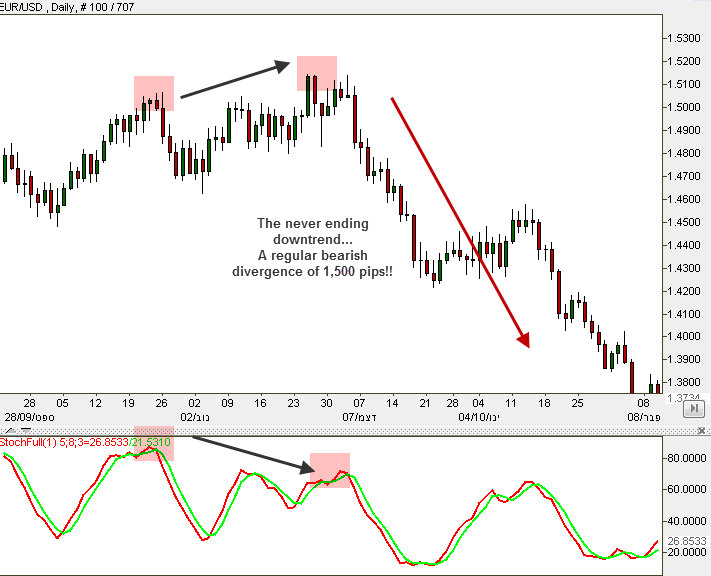 Here we sometimes use divergence for our long-term forex trading signals. To draw lines. The gap between the price’s two highs or the two lows needs to be clear, without interruptions. Compare the attached line on the price chart to the attached line on the indicator’s graph. If noticing a divergence too late, no worries! Be patient and wait for the next one to appear. 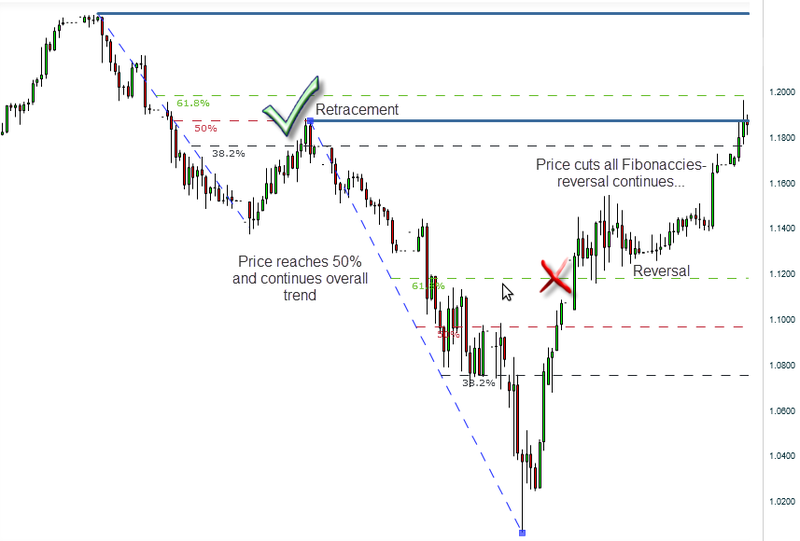 Retracements usually take place when a pair reaches the three Fibonacci ratios – 61.8%, 50% or 38.2%, and stops, before returning to its overall direction. If the price crosses all of these levels and passes 61.8%, there might be a good chance for a reversal. Experienced traders already know a thing or two about the currencies. They know that in many cases, major pairs get to their daily peaks during the rush hours of the early N.Y. sessions when the London session is still open. They also know that by using several indicators they could already guess the general areas on the chart in which the price would get tired, slow down, reverse, and move back to its daily average zone. One more thing they can do is to find the daily average price range of a certain pair, along a chosen period (by using ADR tool for calculation average daily pips! If ADR shows that a certain price range during the past 20 days has been 120 pips a day- unless something dramatic happened today, we can safely assume that it would be today’s approximate range, and tomorrow, and so on, until some major fundamental event occurs and affect the market. First, we take into consideration some important data on the chart, to the current point. 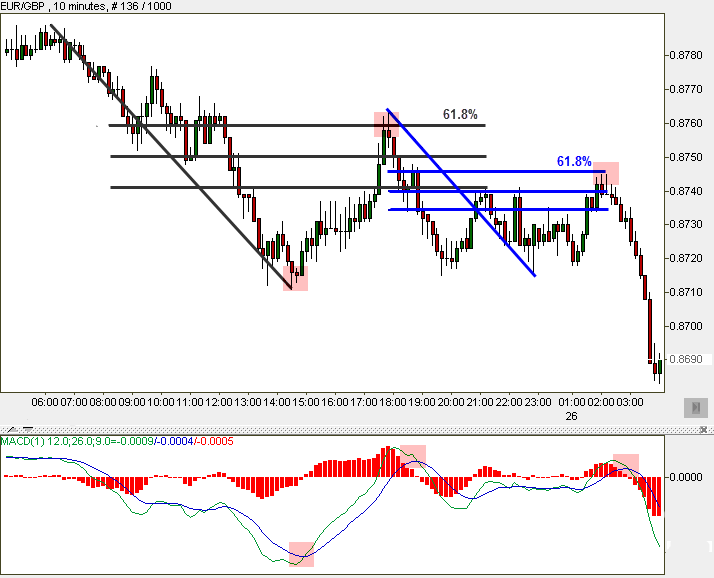 In our example, we trade on London session. The chart below is a 10 min. 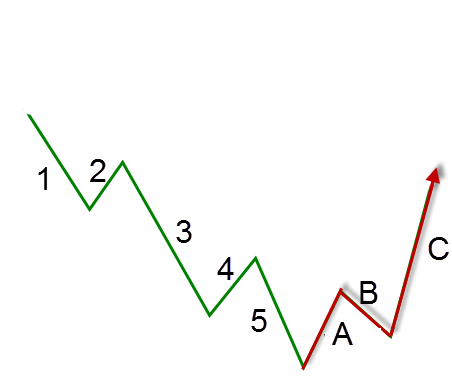 chart (Each candlestick represents 10 minutes). The chart represents the 5-hours frame: 8 am to 1 pm GMT (London time). What does this mean? It means that during the last hour, the N.Y. session started and joined the London session. Anyway, we wish to find the daily average price range. This will give us an indication regarding the price along a whole day of activity, throughout all sessions. 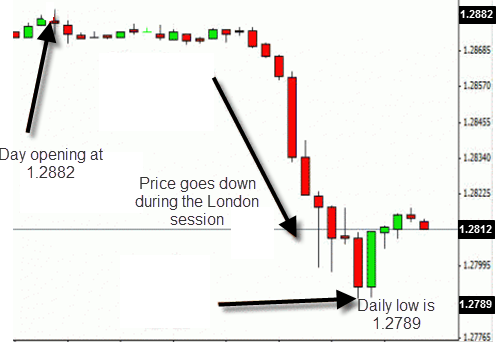 On the chart below we can see that during today’s opening hour in London, the price was 1.2882. 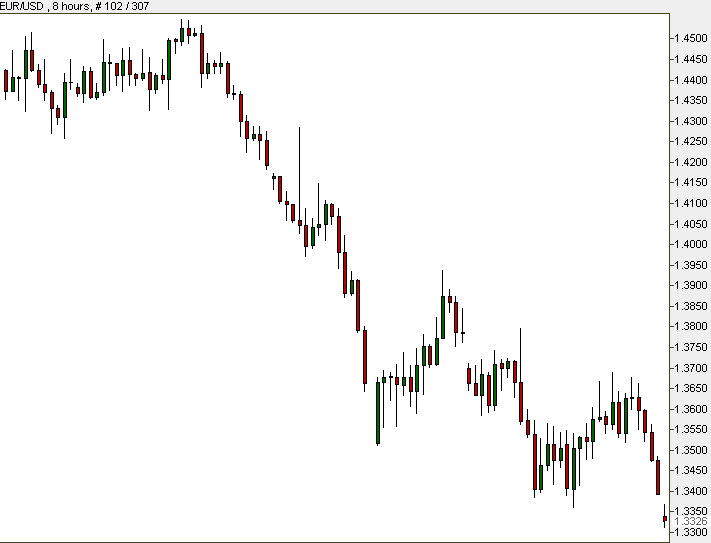 Next, assume we are talking here on the pair EUR/USD. You will notice the downtrend during the London session. Price goes down to a 1.279 low and raises back a bit to 1.2812 just after N.Y. session starts. 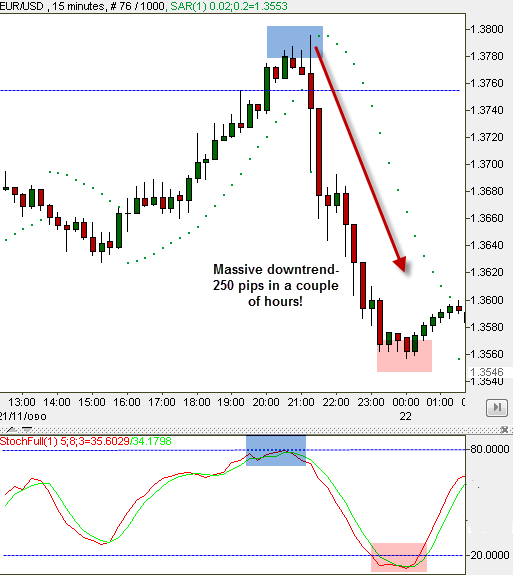 Now, we used the ADR tool and found out that daily average pips range for this pair during the past 20 day stands on 120 pips per day. What does this mean? It means that we can now focus on the max and min points on our chart so far: Maxpoint is 1.2882, and min point is 1.2789. We can use them to calculate possible supports and resistances for later that day, during the N.Y. session. 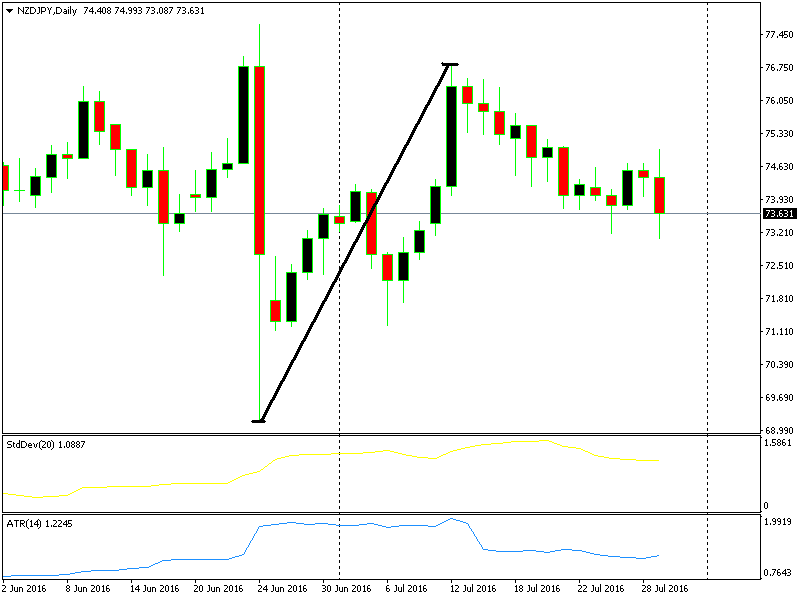 A possible support level would be 1.2762 (1.2882-120); and a possible resistance level would be 1.2909 (1.2789+120). We will now examine our pair on Multiple Time Frames. Let’s check out our pair on a 2-hour chart (Each candlestick represents 2 hours). That way we could see if the possible support and resistance that we have calculated are approximately the same as the ones here, or if they are totally different. 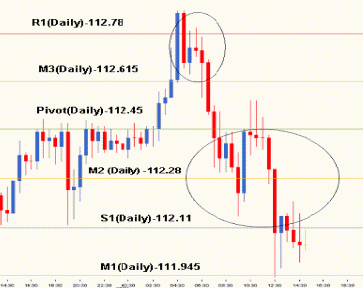 RememberFibonacci and Pivot Points are the most efficient indicators for retracement/reversal Strategy. Well, our suspicions were verified! You can see on the chart that 1.2909 is indeed a strong resistance level! Pay attention to what happens on 1.2762- It sits exactly on top of the 0.5 Fibonacci ratios! Notice that at first it is used as a support, and when it is breached, it turns into resistance. We expect it to turn into a support level again later on during the current N.Y. session! Right now we have an outstanding trading plan for the rest of the day! 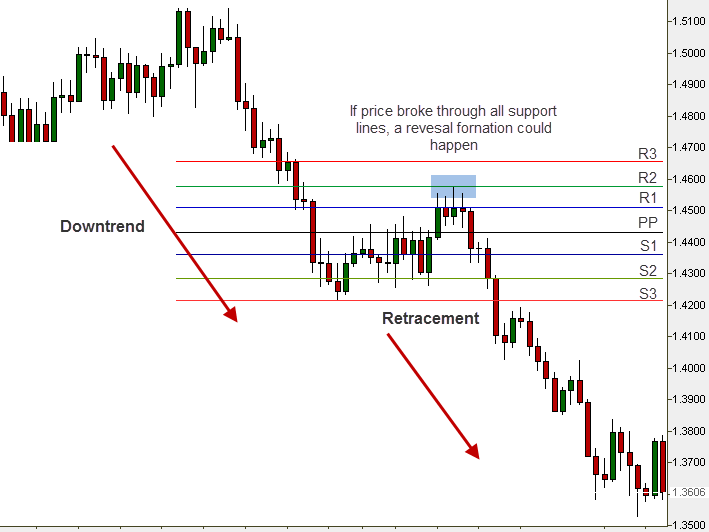 We figured out where the support and resistance are going to be, and we figured out the daily price range. We are set to go. Now, we know that this particular paragraph was a bit harder. Take your time to let it sink in. You are about to learn very simple, intuitive and basic trading strategies, that summarize parts of the material so far very well. 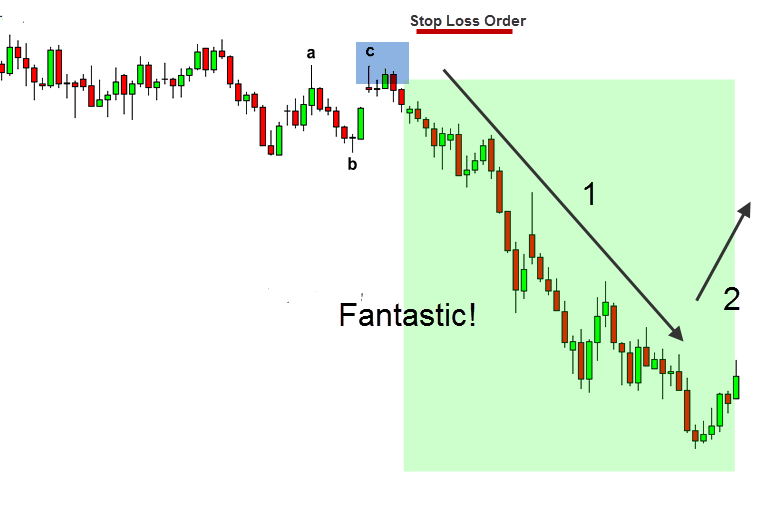 Swing Trade – A short-term trading strategy. Usually lasts from a couple of days to a week. 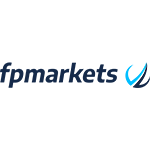 The goal of this strategy is to ride existing market trends and to take as much advantage of them as you can, in order to make relatively quick profits, while reacting fast to changes in market behavior. The idea is to ride the wave. Every major trend is built of groups of waves. The method is to decide when to buy and when to sell by observing the waves. Two waves up, approximately the same size, two corrections, twice on ratio 0.50 or the 50% Fibonacci retracement level – Well, we have a pattern. Good chances for the swinging uptrend to continue! Having a trading plan is crucial in this business. The plan might not be exactly the same for every trade, i.e. you might alter it from one trade to another depending on the analysis, but having a trading plan is a must. 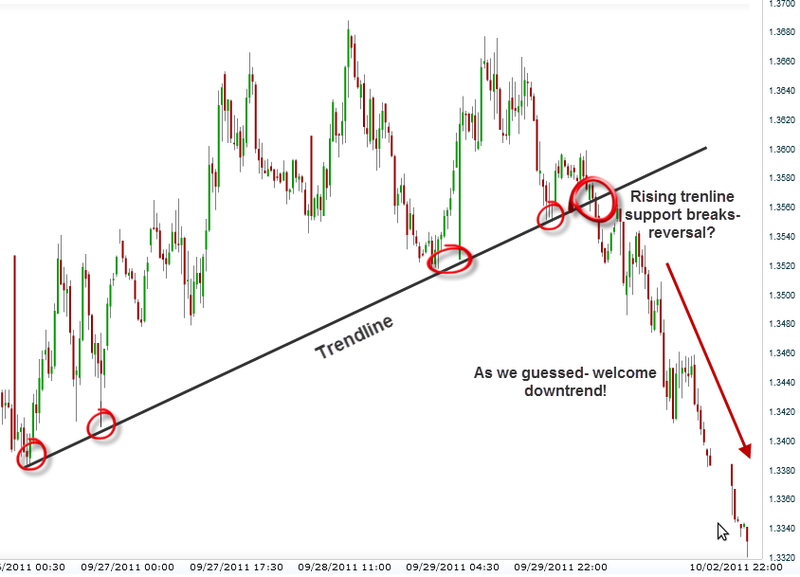 Don’t be too aggressive by trying to win the whole trend. It is impossible to precisely predict the peaks and lows. Don’t force yourself if you are late on a specific trend. Wait for the next one to arrive! As the saying in forex goes, don’t follow the price, let it come to you. Set Stop Losses. This is extremely important! We strongly advise you to set them on each and every one of your positions! Get used to working with ‘stop loss’ and ‘take profit’ orders. Do not forget to set a Stop Loss! In our example, we placed it a fraction above the breakout point (in case we witness a fake-out, meaning, we are wrong!). Once the price has gained some distance from our entry point, we can shift our Stop Loss a little further down, below our entry point. 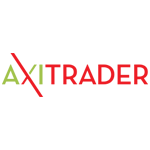 Many forex platforms, such as the MT4 and MT5, now offer the option if a trailing stop loss. It means that you place a stop loss (say 50 pips) and as the trade moves deeper in profit, your stop loss keeps moving in the same direction, increasing the profit potential even if it is triggered. 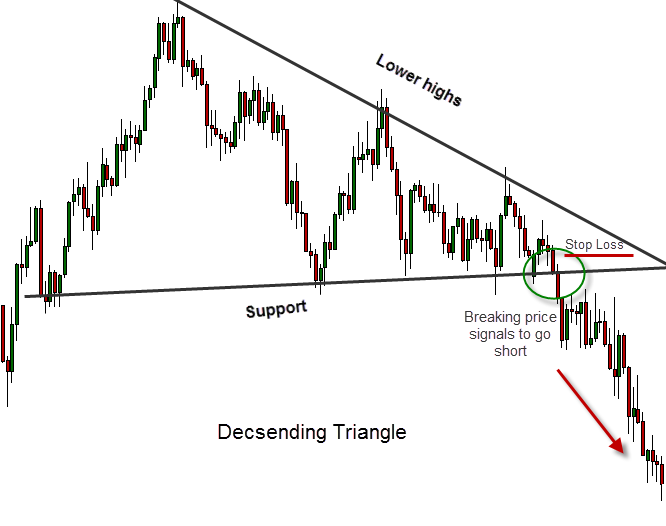 Remember: To ensure profits move your Stop Loss in the direction of the trend! The different currency pairs maintain complex relationships amongst themselves. In some cases, closer and tighter and in others distanced and indirect (like third cousins). Correlation measures their relationships. In other words, it refers to the connection between two pairs – how a certain pair is going to react to another pair’s movement. Sometimes correlation is positive and sometimes it is negative. Important: There is always a relationship between 2 pairs. There is no single pair that is entirely isolated from all other pairs. Correlated currencies are also great for a hedging trading strategy. Experienced traders usually open more than one position simultaneously (trade on 2 or more pairs at the same time). 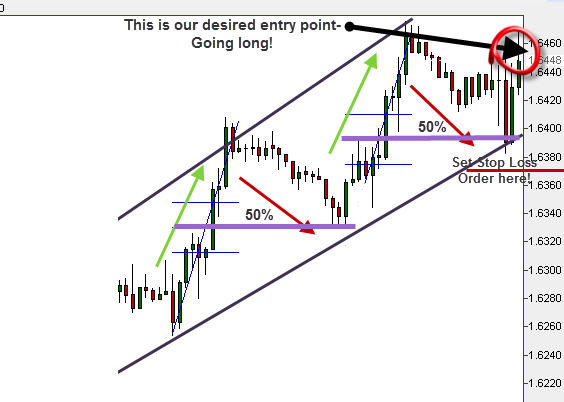 After you practice for a couple of days you will turn into a better trader and then you will probably wish to open more than one position each time. That is why it is necessary to be aware of these relationships! Trading with a number of pairs at the same time is excellent for reducing risks. Calculating Correlation fluctuates on a scale from 1 to -1. 1 describes a perfect positive correlation (100% correlation) between the two pairs. Pairs with correlation 1 move in the same directions 100% of the time. When correlation equals -1, it represents a perfect negative correlation between two pairs. Two pairs are moving in opposite directions 100% of the time. Indices such as FTSE 250, NASDAQ, DAX etc. are usually positively correlated, and may vary from 0.5 to 1. Within these, though, some of the companies listed in these stock exchanges might be correlated negatively, depending on the industry. For instance, companies that specialize in travel technology develop new motors or engines that use less fuel or none at all. So, when these companies build new engine models and minimize the fuel consumption, the share price of these companies go up, while the share price of the oil companies declines. We can say that the correlation between the two industries is negatively correlated. Correlation equaling 0 indicates no visible connection between two pairs. In that case, it is impossible to draw any conclusions about the influence of one pair on the other. Important: You do not have to calculate anything! There are financial sites that do all the work for you by presenting correlation tables after calculating the ratios. The only thing you are left to do is to read the data in the table. From the table: You can see, for instance, that the correlation between EUR/USD and USD/CHF is either highly negative or highly positive, throughout all presented periods in the table (besides for one or two periods). What does this mean? 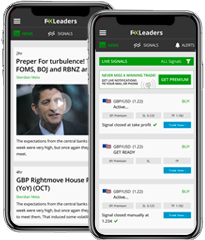 Say you wish to trade on these 2 pairs – do not open two forex signals or 2 trades moving in the same direction (meaning, both will go bullish or bearish), unless you are using the hedging strategy, but rather in opposite directions. If you think of buying one pair, you should sell the other. Due to their tight connection (very strong correlation between them), we wouldn’t actually trade these two pairs simultaneously. It will not cause any reduction in your risks! In fact, a move like this will raise your risk! It would be much better to divide your trades between pairs with partial correlation. 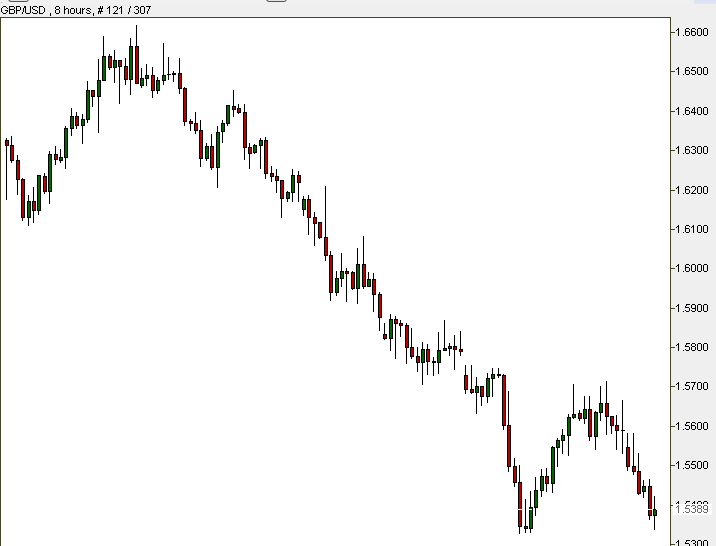 Example: That’s how EUR/USD (left chart) and GBP/USD (right chart) looked like, in an 8-hour chart (total period of 1 month). Go to the table: you can see that the correlation between them is 0.96, almost a perfect positive. Now you understand why their charts are practically identical. It would not be smart to trade in both of these pairs because it will only increase our risk. Think of it, it would be just like buying two packages of the same pair! It is not recommended to trade pairs that have perfect positive/negative correlation, or even almost perfect. There is no point in buying one pair while selling the other, thinking “now I have a balanced plan”. It is like buying a pair and at the same time selling it for a similar price. And, you would pay a double commission because you pay your broker for two positions! Remember: Correlations change in different timeframes. Take a look at our table. 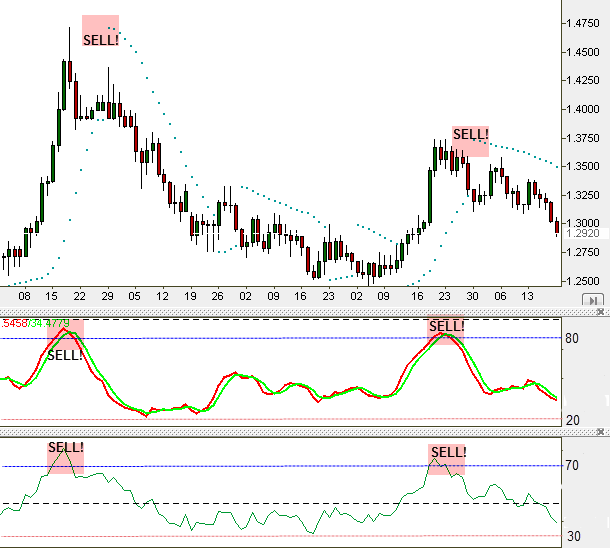 The weekly correlation between EUR/USD and GBP/USD equals 0.96, while the monthly correlation between the same pairs equals 0.42! You should be very aware of these changes. Correlation ratios are changing due to fundamental reasons’ among them changes in interest rates, political events, and other causes. Don’t forget that news about a certain pair might have effects on other currencies (and therefore on other pairs). Correlation helps us spread and reduce risks. Tip: Divide your trades in pairs with strong (but not very strong) correlation. Good ranges are 0.5-0.7 and -0.5 – -0.7. Tip: It allows you also to test given forex trade signals on a certain pair. If you believe that a certain pair is about to break on the chart, you can examine the chart of a similar pair to see what is going on there. The Carry Trade Strategy works by selling, or “lending” (go short) a currency with a low-interest rate; and buying (“borrowing”) a currency with a high-interest rate. Right now the CHF, JPY, and EUR have the lowest interest rates, while the NZD and AUD have the highest rates. We showed this in the table in the first few pages of this course, so consider these currencies if you want to use this strategy. Carry trade is an effective system for profits when the market is “resting”. Potential profits derive from the differential (difference) between both currencies’ interest rates, and the expectations for future changes in those two interest rates. That is to say, part of a trader’s considerations when choosing a pair to “carry trade” will be his expectations that in the short run, changes in the interest rate of one or both of the currencies of the pair will occur. If the differential grows, the trader earns, and vice versa. Say you go to the bank and ask for a $20,000 loan. The bank approves at an annual 2% interest. With all the money you borrowed you purchase bonds for investment, which will produce an annual 10% interest for you. Nice, wouldn’t you think? That is how Carry Trade works. 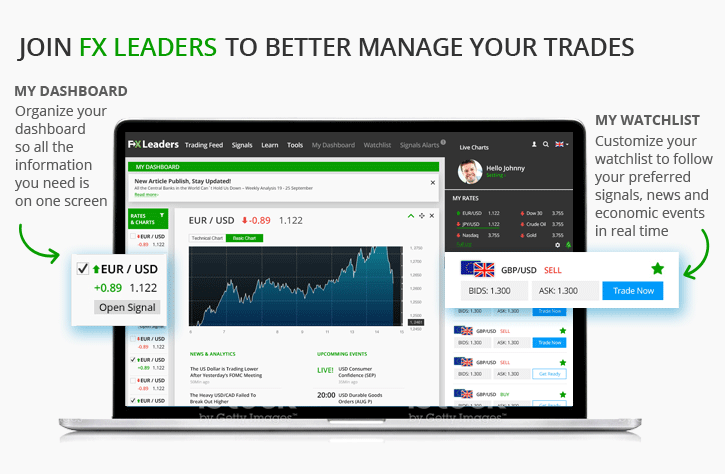 Carry Trade catches are very popular among experienced traders. 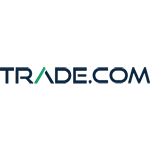 There are more than a few brokers who offer this service automatically on their platform. Traders must be cautious of unexpected interest changes in developed economies, third world countries and unstable periods. Important: This system is usually efficient for “heavy” players and big money speculators, who invest a great deal of capital, wishing to produce nice earnings on interest rates. Let’s assume that you have $10,000 for investment. Instead of going to your bank and maybe getting 2% annual interest ($200 per annum), you could invest your money in Forex and go Carry Trading on a chosen pair. Based on what you have learned about leverage, you can choose to leverage your $10,000 reasonably- leverage it 5 times. Your $10,000 is now worth $50,000. OK, pay attention now: you have opened a position worth $50,000 with an actual $10,000. Assume that during the next year, the differential ratio will be 5% (in other words, the difference between the interest rates of the 2 instruments of your chosen pair will expand by 5%). You would earn $2,500 a year! (2,500 is 5% of 50,000) Just by investing in interest rate changes and ratios. 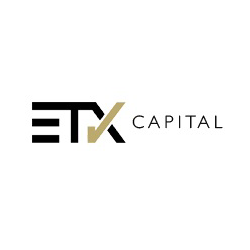 $2,500 is 25% of your original, initial investment on this position! If the currency you are buying crashes and loses value, you would lose your investment (regardless of the “carry trade” system. You would lose because the currency has lost more value than what you would earn from the interest rate difference). If the traded pair more or less keeps its value, having a stable year without changes, you will profit from the 5% differential ratio! This is the purpose of Carry Trade: make money out of interest rates, not price movements on charts. Important: If the differential ratio of a certain pair equals #%, it means that if you wish to sell it (buy the counter currency by selling the base currency), the ratio is inverted (-#%). For example, as the interest rates stand in July 2016, if the differential ratio of NZD/JPY when buying NZ Dollars is 0.2.60%, it would be -2.60% if you decide to open a Sell position for this pair, meaning, buying yens by selling dollars. Carry trade is a recommended trading method for low-risk currencies, which represent strong markets with stable economies. How can you choose the right pair? First, we look for a pair with a relatively high differential ratio. The pair should already be stable for a long period. Uptrend current conditions are preferred, especially if the stronger currency of the two is the one to strengthen. We would want to choose a pair that consists of a currency with a relatively high interest rate that is expected to rise even more in the near future; and on the other hand, a currency with relatively a very low interest rate (for example, NZD or JPY), which is expected to maintain the same level in the near future. Remember: Popular pairs for Carry Trade right now are AUD/JPY; AUD/CHF; EUR/AUD EUR/NZD, AUD/CHF, and NZD/USD. This is a daily chart (each candle represents a day). You will notice a strong bullish trend bottoming out after the Brexit referendum. We know that the interest on JPY in 2016 is -0.10. 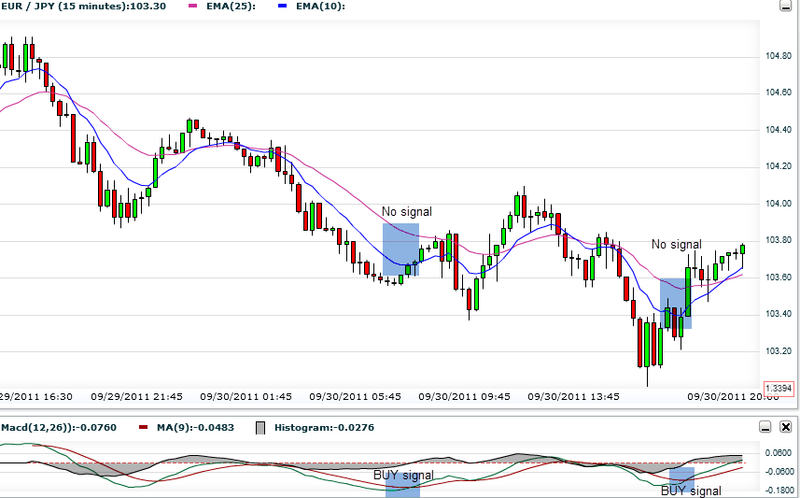 The interest rate on the NZD at the same period of time is 2.25%, with a good potential to rise. Meaning, we have a pair with a high differential (buying New Zealand Dollars with a 2.25% interest rate while selling Japanese yen with a -0.1% interest rate. The differential rates add up to 2.35% interest!). Besides, notice the high profits you could have made just on the bullish trend of the pair itself! Swing trading or benefiting from interest rates is one of the advantages of forex that other financial markets, such as indices or commodities, don´t offer. Buying separate stocks is pretty similar because the dividend replaces the interest rate. 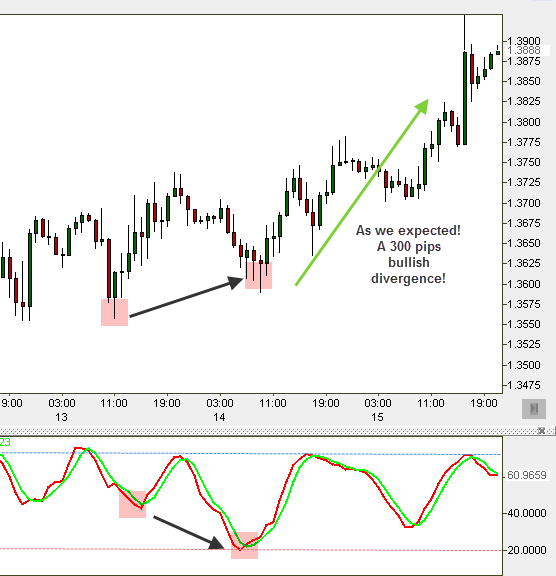 Try to find some situations where two different indicators show opposite signals on the same chart. 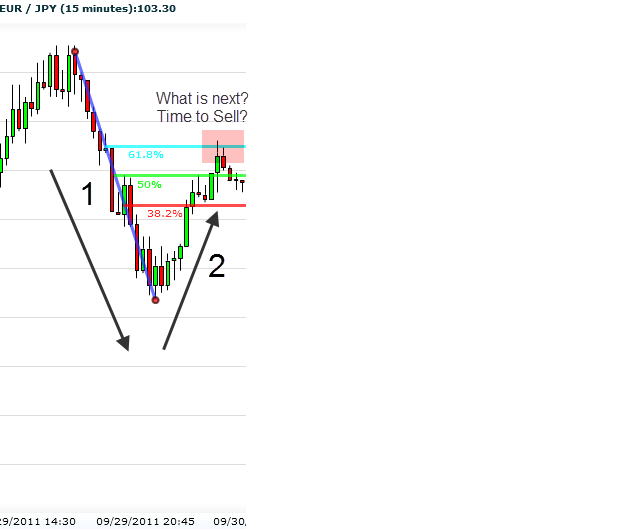 Try to identify Elliott Wave patterns and trade by them. Use the Swing Trade method and open positions based on it. 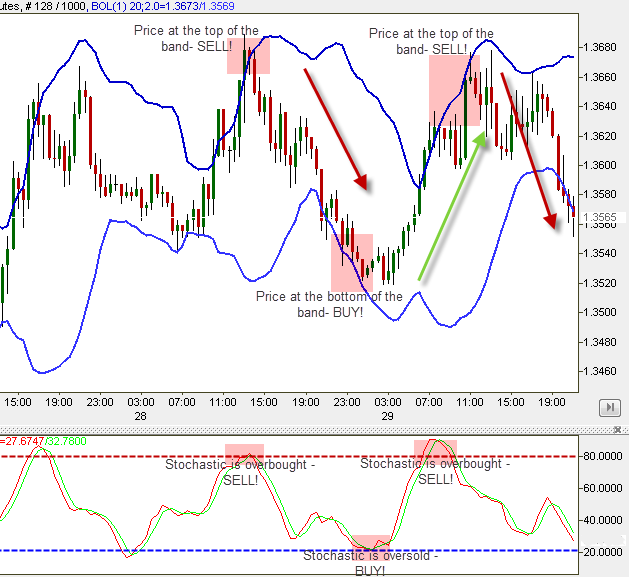 Trade by using Divergence Trading strategy (Regular and Hidden). 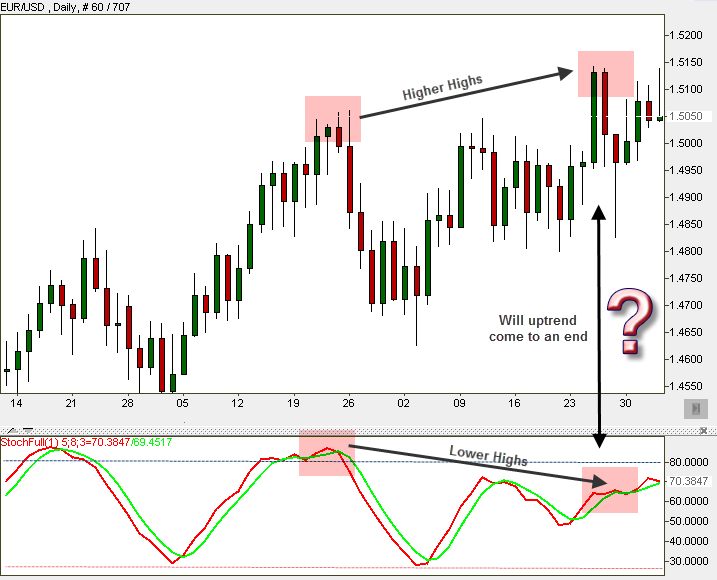 Choose which indicator to work with. Look for Breakout points according to what you have learned. Open two positions simultaneously (on two different pairs) according to fundamental Currency Correlation strategy. Correlation: In which cases is there no point using this method? Carry Trade: In what do we invest when using this technique? How do we choose a pair to Carry Trade with? Wave #2 would never be longer than wave #1. Wave #3 would never be shortest of the first 5 waves (First trend). Wave #4 would never enter wave #1’s price range. 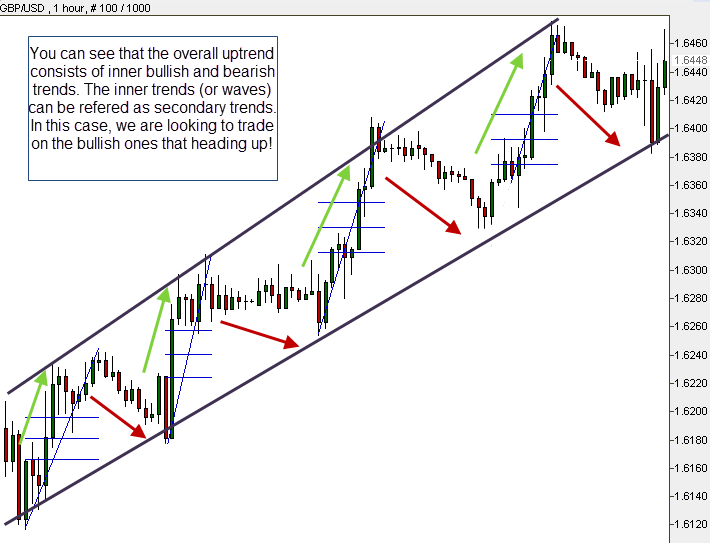 Assume an uptrend – it will always end in a higher point than wave #1s’ top. When correlation is absolute negative / positive, or almost absolute, meaning, correlation equals 1 or -1, or close; when correlation equals 0, there is no relationship between the two currencies. We invest in interest rates differentials between two currencies. A good pair to carry trade on would have a high differential ratio, which is expected to increase. Stocks offer dividends which can be considered as interest rates. This presents us with the opportunity to use the ‘carry trade strategy’. You buy shares in a company with higher dividend and better outlook while selling shares of another company with lower dividend and less favorable outlook. In Chapter 10 – Risk and Money Management you will learn how to manage your money properly in order to maximize your profit while minimizing your risk.